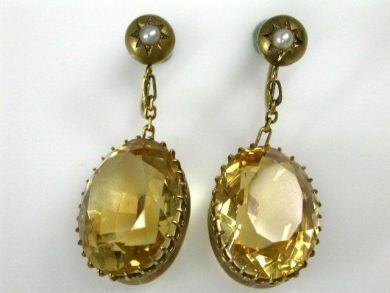 One pair of 10 karat yellow gold drop earrings. The non-pierced screw back earrings are set with two citrines (35.28 carats). Two seed pearls. These earrings could be converted for pierced ears.